As well as being the perfect gift for coffee lovers everywhere, this well packaged and beautifully presented Hello5 Deluxe Coffee and Traditional Vietnamese Filter Gift Set will delight anyone who receives it. 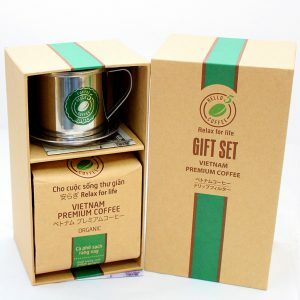 The Hello 5 Coffee Gift Set comes with 250g of Vietnamese ground coffee and the traditional Vietnamese metal filter. 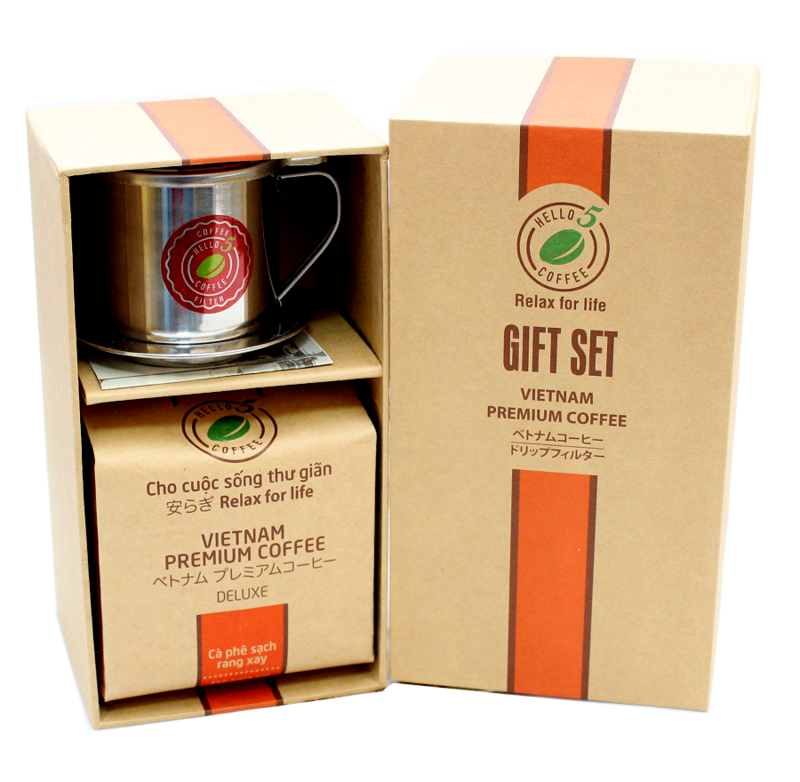 Planted on plateaus which are 1500 meters above sea level, red Arabica and Robusta coffee beans are picked carefully to meet highest quality standards. 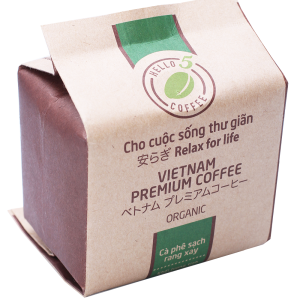 Applying fermentation technology in processing makes Arabica and Robusta Buon Me Thuot coffee a distinctive drink with light sour taste and natural scent. 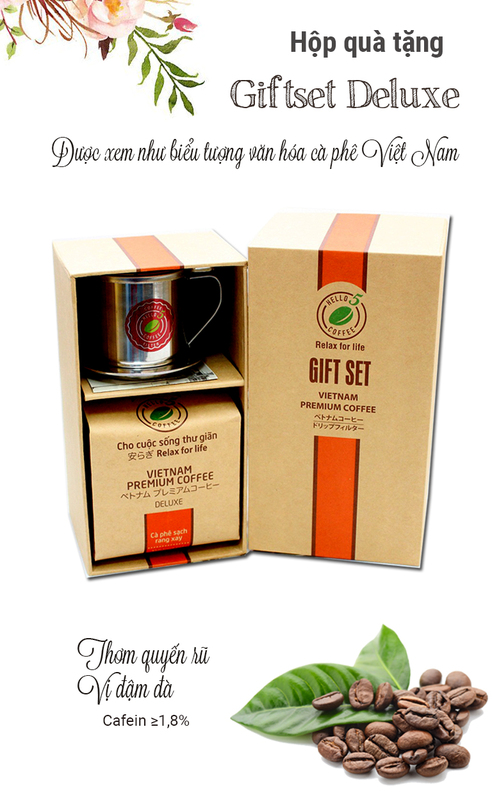 Hello 5 Deluxe suits the Fire Sign person who is leading, humorous, ambitious, and passionate.